Photo: Front exterior of the Institute’s new corporate headquarters in Harlem. New York, NY (November 11, 2015) – The Institute for Family Health is delighted to announce that its New York City corporate headquarters are now located at 2006 Madison Avenue, at the corner of Madison Avenue and 128th Street in the historic neighborhood of Harlem. 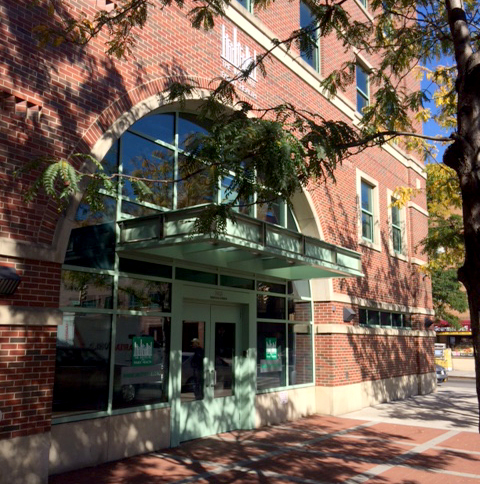 The Institute’s administrative offices were previously at 16 East 16th Street, co-located with its Sidney Hillman / Phillips Family Practice, a community health center. The health center remains at the 16th Street location while the Institute’s administrative functions are now based at 2006 Madison, which the Institute purchased in May 2015. The five-story building now serves as the Institute’s administrative headquarters, combining staff that were previously located at the 16th Street location, as well as administrative office space at 22 West 19th Street. 2006 Madison Avenue is now home to organization’s departments of Finance, Human Resources, Facilities, Credentialing, Psychosocial Services administration, Quality Improvement, Planning and Development, and Purchasing; and many of its executive staff. The 2006 Madison Avenue building was previously owned and occupied Palladia, Inc., a large multi-service agency that recently underwent a merger. The Institute’s purchase of the building strengthens its financial position while assuring affordable administrative space for the organization indefinitely. The building is conveniently located to public transportation, and is in close proximity the Institute’s Family Health Center of Harlem and school-based health center at PS 57, which together serve about 15,000 patients annually. The Institute’s Sidney Hillman / Phillips Family Practice at 16 East 16th Street is open and continues to provide comprehensive primary care, mental health and social work services to individuals of all ages, regardless of ability to pay.